First things first - Yeah, I'm one of the five authors who have stories in MELT. It's a delightful collection, if I do say so myself, full of stories of hope and love and the winter holidays. My story is about a summer town in the off-season, biscuits, a couple of dorks who need to get themselves together, and a bear. We created the book - Harley Easton, CM Peters, Sienna Saint-Cyr, SB Roark, and I - and gave all the proceeds to mental health charities. This time of year is hard on those who struggle with mental health issues. Trust me. I live with fairly high anxiety all the time, and there's something about the end of the year/push to spend time with family and never dare drop the ball and make sure it's ALL magical and no one is disappointed that is extra hard on people like me who take everything personally and process things differently. What I'm saying is -- I see you. I hear you. 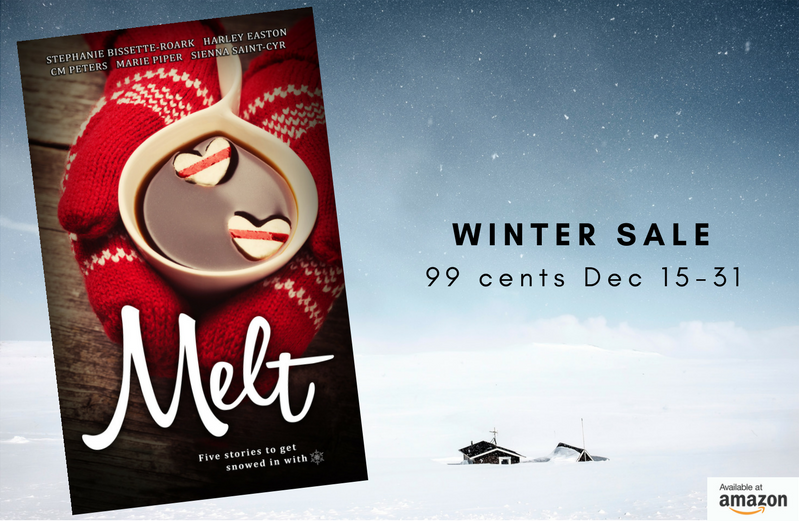 Melt is available on Amazon -- and 99 cents until 12/31! This song from the musical "Dear Evan Hansen."